It’s that time of year, the temperature is rising, flowers are blooming; you’re preparing your backyard for family grill outs and get-togethers. Spring is in the air and April is notoriously a wet month, the last thing you want is standing water, STANDING in the way of your spring-time plans. Like most years, warmer weather and rain brings out pesky mosquitoes looking for any opportunity to feed. The difference this year, is that these mosquitoes could potentially be carrying a dangerous blood-borne pathogen. According to the Center for Disease Control, 40 out of the 50 continental US states, have already reported cases of individuals contracting the Zika Virus. The Zika Virus, known to cause serious birth defects in pregnant woman, is primarily transmitted by mosquitoes. While largely present in Central and South America, the CDC predicts the southern and eastern halves of the US to see the highest number of reported cases this summer. While standing water in your yard presents a potential breeding ground for mosquitoes, there’re steps you can take to protect your family this spring. When heavy rain hits and water begins to puddle, act as quickly as possible to clear the risk from your back yard. 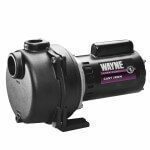 While removing water may have presented a challenge in the past, the all new WAYNE WWB WaterBUG Pump with Multi-Flo Technology, removes water down to 1/16th of an inch…. VITUALLY DRY. 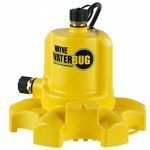 Assembled in the United States and featuring a high quality, corrosion resistant thermoplastic construction, the WaterBUG is the perfect tool for every home. 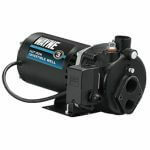 With a unique, patent-pending Multi-Flo Technology, easily move water from one place to another, using the side-discharge (perfect for standing water), or top-discharge (ideal for window wells and stock tanks). 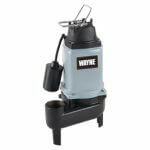 The WaterBUG pumps an impressive 1,257 gallons per hour, so it’s great for those larger jobs too. 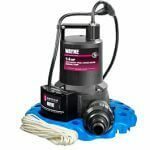 While it may never be 100% possible to eliminate mosquitos, you CAN eliminate the risk of zika virus, by being proactive and pumping standing water from your yard, with the WAYNE WWB WaterBUG. 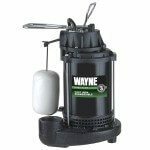 Take back your yard, and protect your family with your very own WAYNE WaterBUG!